Leonard and Sheldon are brilliant physicists, but none of that genius helps them interact with people, especially women. All this begins to change when a free-spirited beauty, Penny, moves in next door. Sheldon is content spending his nights playing Klingon Boggle with their socially dysfunctional friends. However, Leonard sees in Penny a whole new universe of possibilities ... including love. 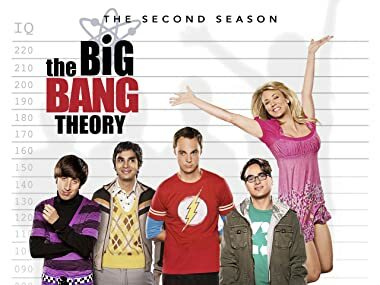 After her first date with Leonard (JOHNNY GALECKI) goes awry, Penny (KALEY CUOCO) finds an unwilling confidante in Leonard's anti-social roommate, Sheldon (JIM PARSONS). When Leonard sees Penny with a handsome new guy (TRAVIS SCHULDT), he enters into a rebound relationship with Sheldon's nemesis, Leslie Winkle (series regular SARA GILBERT). Newly famous because of an article in a magazine, Raj (series regular KUNAL NAYYAR) gets an inflated ego and makes a disastrous play for Leonard's longtime crush, Penny. A paintball game has surprising consequences for Leonard and his friends when it leads to a fight between Penny and Sheldon - and romance for Wolowitz and Leslie. While Stuart (guest star KEVIN SUSSMAN), a fellow comic book-loving pal of the guys, romances Penny, Leonard and Wolowitz venture out into the world of "Ladies' Night". Penny makes a surprising revelation about Leonard on her second date with Stuart. And, Wolowitz enlists his friends' help when he discovers a design flaw in his NASA project. In the second season finale, Leonard and Penny reconsider their feelings for one another, when Leonard and his friends decide to spend the summer working - at the North Pole.